Long considered hazardous for pedestrians due to its lack of sidewalks, North Louisiana Avenue is the gateway corridor for the Emma community. Most households within the community fall below area median income, and many families lack reliable car access. Pedestrians generally walk along the edge of the pavement or in roadside ditches to avoid heavy through traffic. Nearby grocery stores, banks, and shopping plazas within a comfortable walking distance are hazardous to access on foot, and what would be a 10-minute daily walk to school for most Emma Elementary students becomes several hours of riding the school bus to and from home each week. 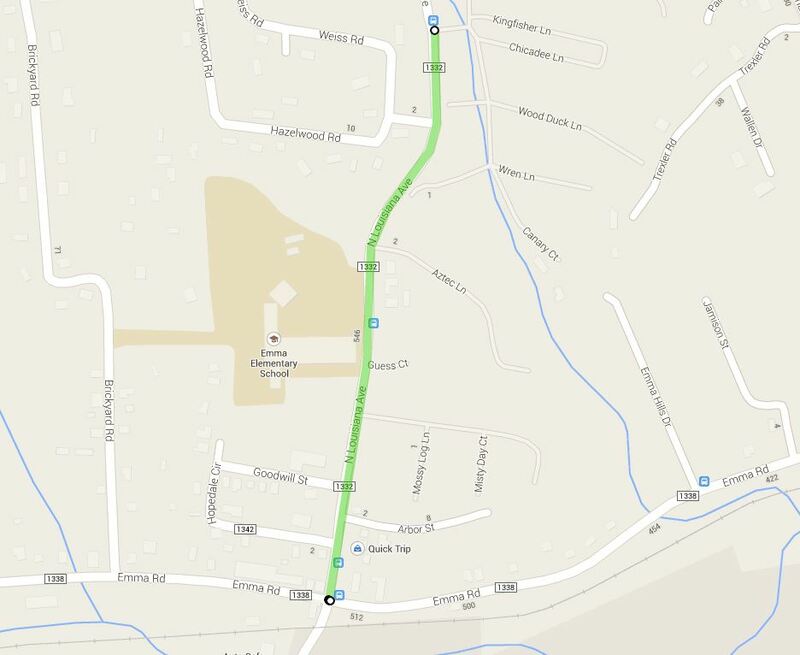 The Emma Pedestrian Access Project implemented sidewalks along North Louisiana Avenue, a principle thoroughfare for residents of a low-income community in Asheville’s Extraterritorial Jurisdiction. The new sidewalks connect students with the local elementary school and residents with the family resource center along a half-mile stretch between Mosswood Lane and Emma Road, giving residents access to commercial activity centers to the south along Patton Avenue. In 2005, the City of Asheville’s Pedestrian Thoroughfare Plan recommended infrastructure improvements along North Louisiana Avenue, the Emma Community’s conduit to essential goods and services. 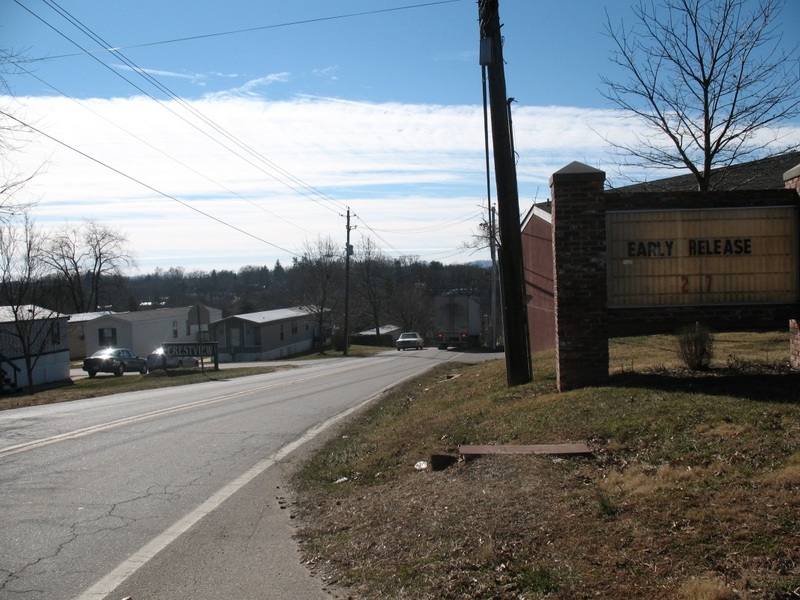 The 1.5-mile corridor between Patton Avenue and Adams Hill Road connects rural residential areas in Asheville’s Extraterritorial Jurisdiction to commercial shopping, churches, schools, and several bus stops. There are six manufactured housing communities along North Louisiana Avenue with a total of 295 units, and many households do not own or have access to a car. The North Louisiana Avenue corridor also experiences heavy use from industrial traffic via Adams Hill Road. Speed limits within the school zone are routinely surpassed, and the hills and curves of the road create hazardous blind spots around which drivers cannot see pedestrians walking in front of them. For years, community groups such as A Safer Walk for Emma have voiced a desire for better pedestrian routes within their community, as well as safer connections between their community and Patton Avenue. A Safer Walk for Emma quickly targeted North Louisiana Avenue as a top priority for improvements within the community. When the group’s members were prepared to apply for federal funding they sought help from the City, who agreed to act as a lead agency on the community’s behalf. Transportation planner Dan Baechtold from French Broad River Metropolitan Planning Organization (MPO) and City of Asheville stepped forward as a lead for the project. In fall 2007, Mr. Baechtold submitted an application for a Safe Routes to School (SRTS) Demonstration Grant. On behalf of the Emma community, NCDOT awarded the City $250,000 in SRTS funds in spring 2008 for the infrastructure improvements along North Louisiana Avenue between Emma Road and Mallard Drive. Representatives from A Safer Walk for Emma, Children First/Communities in Schools, the Emma Family Resource Center, Buncombe County SRTS, and the Center for Participatory Change all contributed to the grant proposal’s success. Within months, additional Community Development Block Grant (CDBG) and Federal Transit Administration Job Access and Reverse Commute (FTA-JARC) funds were awarded and Phase 1 of the project was scheduled to move forward. 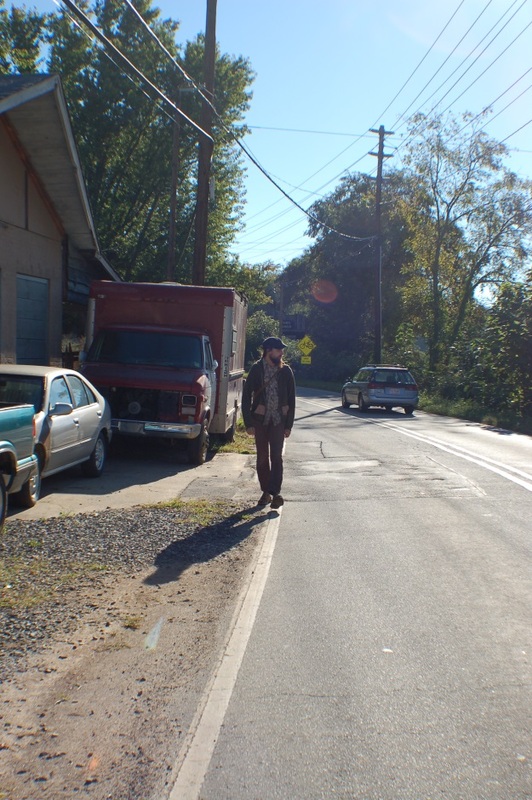 Working alongside community residents, Mr. Baechtold partnered with Buncombe County and NCDOT Division 13 officials to promote sidewalk construction in the area. In a series of conversations between City, County, and NCDOT personnel, the City agreed to maintain the sidewalks, while the project phases were split into separate FTA and Federal Highway Administration (FHWA) funding sources to allow for more flexibility in contract language. One of the Emma Pedestrian Access Project’s primary goals was to connect households in Emma with the elementary school and adjacent Family Resource Center. Sidewalks were targeted to promote active lifestyle choices by school children, in addition to meeting goals listed in both the City’s Sidewalks Projects list and 2005 Pedestrian Thoroughfare Plan for increased pedestrian safety. 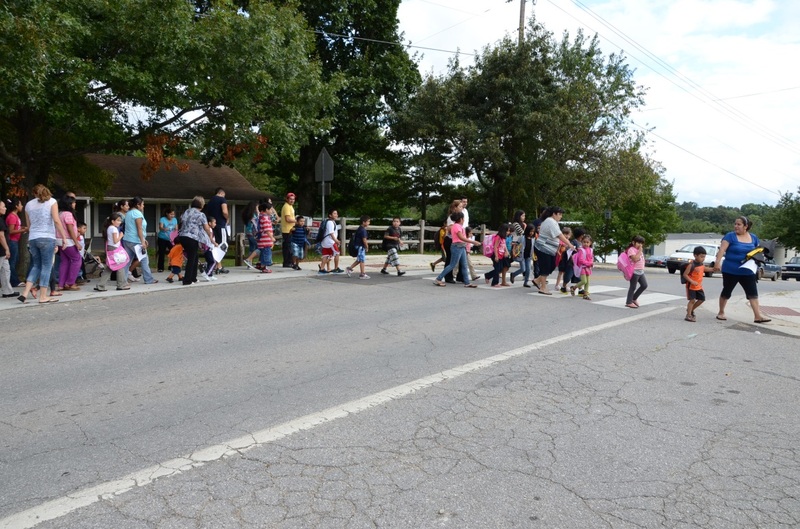 In place of riding the school bus, Emma Elementary teachers and Children First/CIS would institute a “walking school bus” program each morning for children who lived nearby. The improvements were publicized as the first phase in a series of ongoing projects to extend sidewalks even further into the areas around North Louisiana Avenue. The first phase of the Emma Pedestrian Access Project was completed in 2012. The Emma Pedestrian Access Project serves as a citywide model for inter-jurisdictional cooperation between NCDOT and local stakeholders. Working with limited funding, it was clear that the project’s success hinged on the willingness of property owners to submit sidewalk easements as donations to Buncombe County. Realizing that for citizens to take ownership in the project, it would be essential for key property owners along North Louisiana Avenue to assist in the promotion of the project; City staff worked alongside residents to highlight the project’s potential for the community. Leading by example, several strategic donors committed to signing easements for the sidewalk space alongside their properties. This in turn generated the support that would secure all 2,030 feet of sidewalk for the first phase of improvements. The combination of SRTS, CDBG, and JARC funding sources was leveraged to complete Phase 1 of the project at a cost of $491,300. The improvements come on the heels of recommendations made in the 2012 Buncombe County Health Impact Assessment for increased greenway connectivity for the Emma community and a stronger commitment to a healthy living initiative for the entire community. The community’s increased walkability is closely tied with positive health outcomes and higher quality of life resulting from safer roadway access. Baechtold, D. (2007). Grant Proposal, Safe Routes to School. Baechtold, D. (2014, June 26). Discussion of North Louisiana Avenue project. Braasch, E. and McIntyre, K. (2012). Buncombe County Health Impact Assessment. Children First/Communities in Schools. (2012). Children first communities in schools and community partners celebrate new sidewalks in emma. Retrieved from: http://childrenfirstcisbc.org/index.php/newsroom/children-first-communities-in-schools-and-community-partners-celebrate-new-sidewalks-in-emma/. City of Asheville. (2005). City of Asheville pedestrian plan update, draft 2005. Retrieved from http://www.ashevillenc.gov/portals/0/city-documents/TransportationEngineering/Bike_and_Ped_Services/2005PedestrianPlanChapter7VisionGoalsObjectives.pdf. City of Asheville Bicycle and Pedestrian Task Force. (2011, August 6). Retrieved from http://www.abptaskforce.org/. City of Asheville blog. (2011, July 19). Asheville partners with buncombe county on emma community sidewalk project. Retrieved from http://coablog.ashevillenc.gov/2011/07/asheville-partners-with-buncombe-county-on-emma-community-sidewalk-project/. Ford, J. (2012, September 9). The sidewalks of emma get a brand new “walking” bus. Retrieved from https://mountainx.com/arts/art-news/the_sidewalks_of_emma_get_a_brand_new_bus/. Mee, B. (2014, July 2). Discussion of North Louisiana Avenue project.